H and I first came across Pillow Talk last summer at Dundas West Fest, a local street festival celebrating one of Toronto's coolest neighbourhoods. 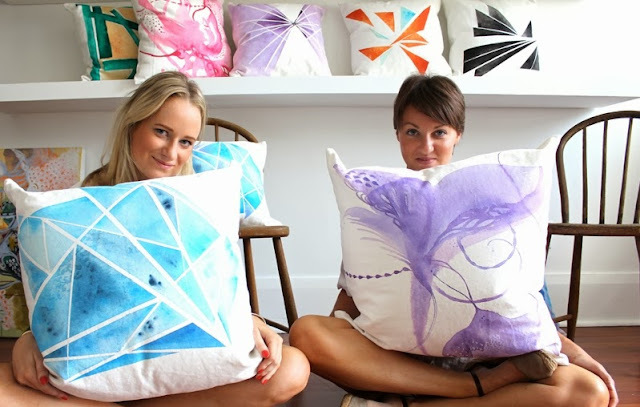 Pillow Talk focuses on hand-painted, custom pillows created by interior designers Melanie Brown and Robin Schurman. We were lucky enough to pick their brains about design, their amazing product, and starting up their own business.